In part one, we examined the food-related nutrients and factors that are uncommonly known risks to our oral health. From gummy vitamins to seltzer water and starchy foods, these things wear on our enamel and, over time, can cause cavities. In part two, we’ll go further into depth and beyond food to look at other important factors that impact our dental health, but are often in the background, though vital things to connect to our oral health. At Precision Dental Care of Windsor, we’re the leading dental clinic that offers a myriad of services from emergency dental care to crowns, bridges, and teeth whitening services. Join us in today’s post as we explore additional factors that can impact your dental health. Do You Have Any of These Dental Health Risk Factors? The health of your teeth goes beyond food, and to keep your smile healthy and cavity-free learn more about the risk-factors below. Stress – Stress is the factor that we’re beginning to understand more and more of its grave affects, and consequently enough, it affects our dental health. Research is finding that stress negatively impacts our teeth by causing canker sores and suppressing our ability to produce saliva. And, as we know, the less saliva you produce, the more susceptible to cavities you become. In addition, stress greatly impacts our emotional wellness and when that becomes an issue, we tend to throw healthy eating out the window and our oral hygiene suffers right alongside. Stress is a very difficult thing to control because there is no on and off switch, but wouldn’t that be nice? Instead, try and at least be conscious of your stress and make better food decisions and make a commitment to at least do the minimum of brushing and flossing throughout your day. Sinus issues – If you chronically have inflamed sinuses, this could be impacting your dental health. Because the sinuses are so close to your mouth, they can sometimes mimic tooth and jaw pain, in addition to causing bad breath. Connect with your dentist and talk about your symptoms and discuss a plan of action. 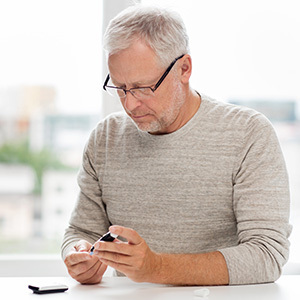 Diabetes – Diabetes can impact your dental health because you are more susceptible to gum disease and reduced saliva production (dry mouth). Dry mouth is typically seen in those with diabetes as a result of the medications taken to better control the disease. Not only is extra dental care needed at home, but being diligent in your bi-annual teeth cleaning is imperative as well. Dental health is a major part of diabetes management. Sleep Disorders – When you are dealing with teeth grinding in your sleep or sleep apnea, these both directly impact your teeth. Teeth grinding, can result in tooth loss and sleep apnea can increase mouth breathing and saliva reduction causing dry mouth, thus cavities. If you think you may be grinding your teeth or are affected by sleep apnea, alert your dentist so they can be on the lookout for signs during your dental exam. Mouth Breathing – This may seem like more of a nuisance than a dental issue, but mouth breathing may be a result of limited nasal capacity or an unaddressed jaw issue. Not to mention, it decreases your overall saliva production which, as we know, can subject you to cavities. Healthy eating is a staple in our oral health care, as is proper oral hygiene, such as brushing and flossing. 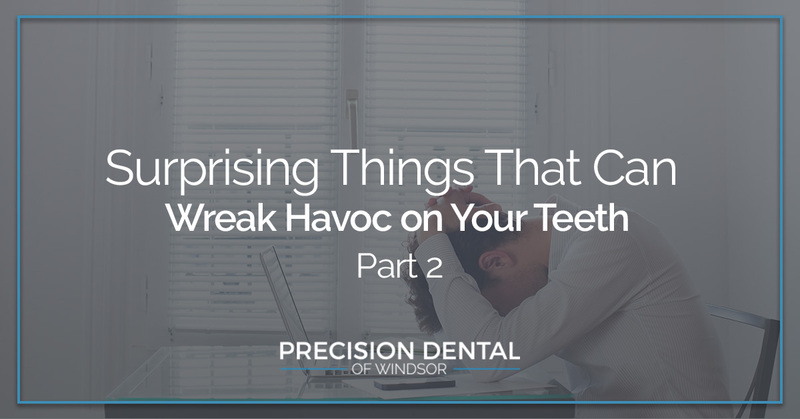 We don’t always make the connections of how different health issues impact our teeth, but as we’ve ventured above, we know that they do. Factors such as stress, sinus concerns, and sleep disorders all affect your teeth, so it’s important to be armed with this knowledge and discuss a plan of action with your dentist. To schedule a dental exam with the leading Windsor dental office, connect with us today!